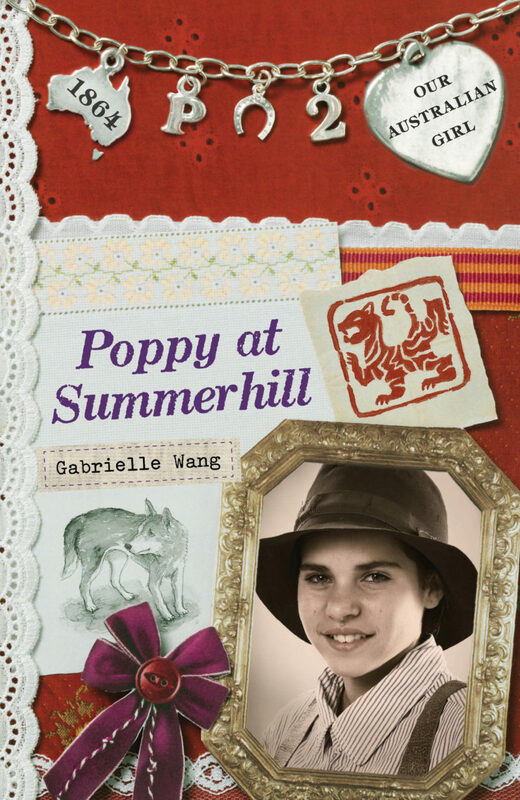 Poppy At Summerhill is the second book in the OAG series and takes place on a wealthy homestead. 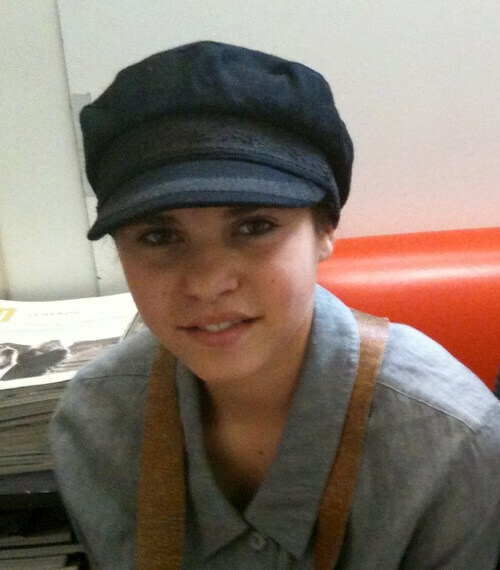 Poppy meets Noni, a girl about the same age but who has grown up surrounded by luxury. The two girls share a love of books and become fast friends. In Poppy’s day there were no cars. There weren’t even any bicycles. So everyone got around in carriages, carts, on wagons or on horseback. Or they walked. When I was a child it was my dream to own a horse one day. I wanted a palomino. 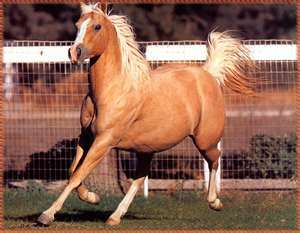 I loved the fawn colour of a palomino’s coat with its creamy white mane and tail. I never fulfilled that dream but I did go to riding school every weekend. My favourite horse there was Dandy and I would always request to ride him. He was a big brown horse and not very handsome, but he had the gentlest nature. And when Dandy cantered it was like sitting on a huge rocking cushion it was so comfortable. 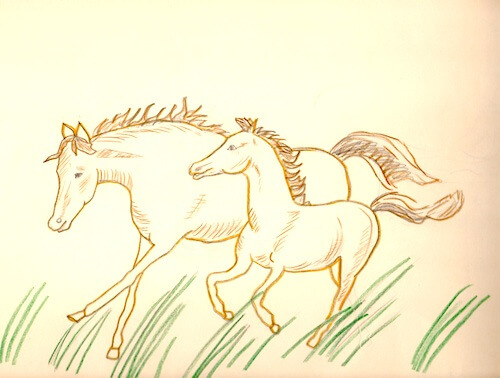 Because I love dogs and horses so much, I used to draw them all the time and I still have my sketch books. 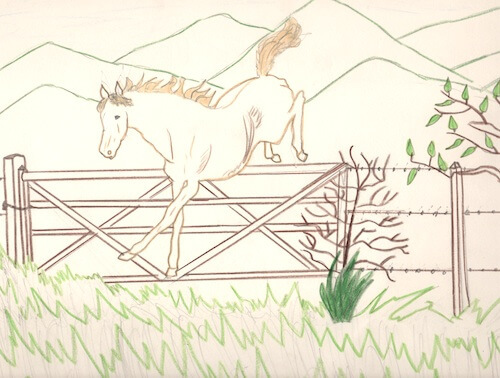 Here are two pictures I drew when I was eleven years old. The inspiration behind the homestead of Summerhill comes from a real place called Lanyon which is near Canberrra. Having a real place to refer to while I was writing this novel helped a lot. I used this home to create images in my mind. I could picture Noni’s bedroom off the wide verandah, and the kitchen where Poppy ate. I could see the stables where Gideon was kept and the drawing room where the twins birthday party was held. If you are a writer, working from real images enhances your imagination. And of course Yullarah, who modelled for the front covers of all the Poppy books, will remain a constant source of inspiration to me.